WHAT A DEAL!!!! COME CHECK OUT THIS CLASSIC SILVERADO!! 1982!! CHEVY STEPSIDE, CK10 SHORT BED PICK UP!!! 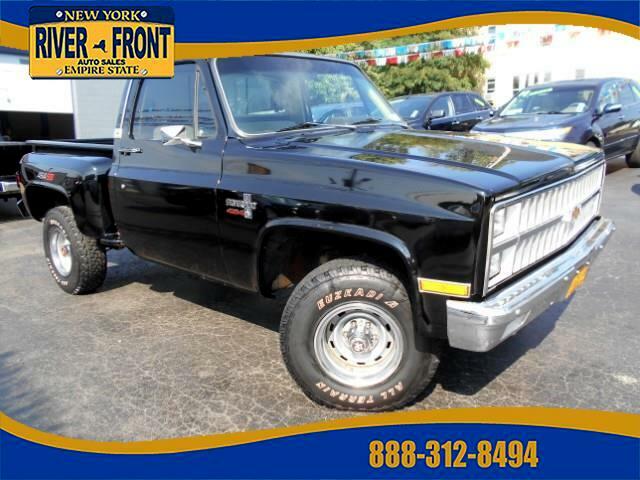 LOTS OF FEATURES ON THIS PICK UP INCLUDING, a/c, cassette player, rear defroster, cloth tan upholstery, seats 3, dual exhaust, bench seating, glass rear window, 4 speed manual, 454 425 horsepower, fully restored, rebuilt transmission, rebuilt transfercase, new drive shaft, no winters, and all new shocks and springs all around!!! Message: Thought you might be interested in this 1982 Chevrolet Stepside.